The White Sox play host to Red Sox for 4-game series in early May. Could this be an early test for the rebuilding club? Trevor Colgan is a rising senior studying journalism at Ohio University. There, he works for the The Post, the student newspaper, on the sports staff. He grew up on the Eastern Shore of Maryland. The White Sox open the 2019 season the same way they opened this season, on the road against the Royals. The season will start on March 28, which is followed by a day off, then the series resumes for two more in Kansas City. The season opening roadtrip will continue with two games against the Indians. The home opener will be April 4 against the Mariners. The first home stand of the season will finish with a three game series against the Rays. Interleague play includes home-and-home two-game series against the Nationals and Cubs. Both series against the Nationals come in June, with the White Sox traveling to Washington starting the fourth and the Nationals coming to Chicago the 10th. The Crosstown Series will be at Wrigley June 18, and at Guaranteed Rate Field July 6. The home interleague games will be near the end of July, stretching into the first day of August. The Marlins series will begin the 22nd, and the Mets come to Chicago starting the 30th. 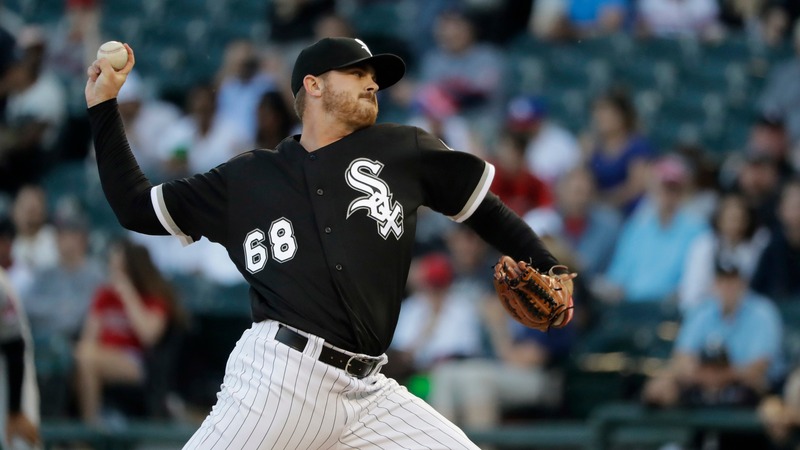 The White Sox travel to Philadelphia and Atlanta for interleague play, also. They play the Phillies August 2, and the Braves August 30-Sept 1. One of the White Sox biggest home stands come at the end of April. They play 10 games in 10 days, starting with the Tigers, then a three-game series against the Orioles, and a four game stint with the Red Sox. If there is success against the potentially weaker teams in the Tigers and Orioles, followed by a test against the Red Sox, it could be a good sign for a rebuilding White Sox team and be an early measuring stick. Fifteen of the last 18 games of the season will come against AL Central opponents. This includes nine games on the road, with a series with the Mariners thrown in between. That road trip concludes with the Twins and Tigers. The season comes to an end with a six game home stand, playing the Indians and Tigers.